Let's meet after work for some wine tasting and wine game. Protected content is the newly opened bar with stylish decor, cozy atmosphere and a great music. 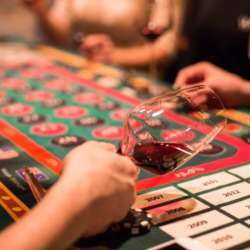 The new wine bar in the capital`s center differs from all the other similar places by offering its guests to play special “wine board games”. These games are purposed to make players learn more about this wonderful drink. Playing the game, guests have to identify wine`s color by its aroma, or to name sort, country of origin or other wine`s characteristics. As for menu, it has numerous wines from France, Japan, Italy, Spain, Georgia and plenty of other countries. Guests can also order delicious food – for example, salmon tartare, shrimp salad or pumpkin pie. There is an attractive option to try “degustation set” of three wines that cost Protected content and changes every day.